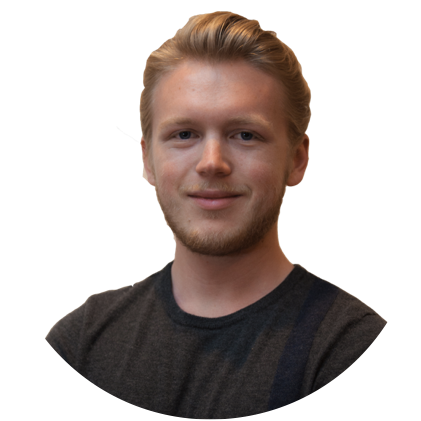 What is it Like to Work with Growth Machine? Working with Growth Machine is everything you love about content marketing (free traffic from Google) without all the parts you don’t like (writing, publishing, technical fixes, SEO research, editing, promoting…). 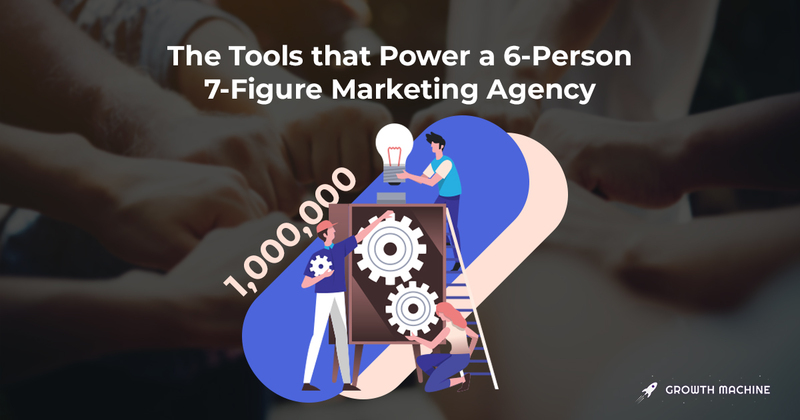 We’re completely turnkey, meaning once we’ve started working together, aligned on the content vision, voice, and metrics, there’s nothing you need to do on your end. Just continue running your business as usual, and leave the blog and search traffic to us. Here’s what that looks like in more detail. Before we even send you a proposal to work together, we do some research to make sure there’s an SEO opportunity in your niche. If there isn’t, we’ll tell you, because we don’t want you to spend money if this isn’t the right marketing channel for you. We’ll also audit your site to see how your current content is ranking, and whether or not it makes sense to start with improving your old articles. Sometimes, that’s all we do for the first few months, because we’ve seen it get results significantly faster than creating new posts. Once we establish there’s an opportunity for you to get more search traffic, and know what kind of mix we should do between creating new content and improving old content, we’ll be ready to get to work. Our first week together is where we figure out what your site should be ranking for, what your site’s voice should sound like, and how we’re going to help get your content in front of as many people as possible. This is the most important piece of the Growth Machine puzzle. 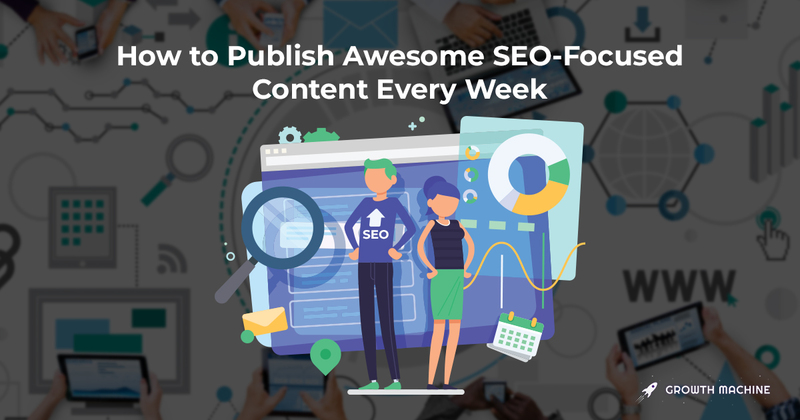 It lays out everything we think your site should rank for, what existing pages we should improve on your site, and a roadmap for the next few months for creating that content. We’ll dig into everything that your customers are searching for, figure out what topics have the highest potential to bring you traffic (and sales) and plan out the first few months of articles for your site, then review them with you before getting started. We’ll also put together a voice guide that our writers will use when creating your articles. This is essential for making sure that our pieces are fitting with your brands goals, and will make it easier for us to consistently produce content that your customers love. You’ll fill out a simple questionnaire, and then we’ll compile it into a voice guide that we review with you. Once we’re aligned on it, we’ll be able to start getting writers to produce initial content samples for you. Along with the content plan, we’ll put together an initial plan for how we want to promote your content. This focuses on the channels we see as having the highest potential for your niche, and what order we want to pursue them in. It’ll have a mix of avenues we’ll pursue on our end, ways you can help with your existing promotion efforts, and what we want to test over the coming months. This will also require syncing with you on what metrics you want to focus on. Traffic? Email signups? Sales? It’s up to you what we try to optimize around, though we’re also happy to provide recommendations based on what’s worked for other sites. The last important piece we put together during week 1 is our technical audit of your site. This tells us if you have anything broken on your site right now that could be hurting your SEO potential, so that we can work with you to get it fixed as soon as possible. Once we’ve gotten aligned on the content plan and voice guide in week one, we’ll start getting a few of our writers with expertise in your niche to put together sample first drafts of posts. We’ll send all of these to you so you can choose which writers you think best represent your site’s voice, and who convey the most expertise in your niche. If you’re not happy with any of them, we’ll keep sending you writers until you are. While we’re figuring out which writers to work with, we’ll also start setting up any tracking that’s not already in place. This means building out our own internal dashboard for reporting your key metrics to you, and making sure you have the tools and tracking in place for us to easily get the data. Once we’re agreed on the writers, tracking, and metrics, we’ll start getting your first pieces of content ready. The publishing begins! Based on the content plan, writers we’ve decided on, and voice guide, we start writing and publishing new articles on your site. Once we start publishing, you’ll get a stats report at the beginning of each week. We’ll include how much traffic your getting, how the conversion metrics you care about are performing, and how you’re ranking for the keywords we’ve decided to target. You’ll also get a run-down of any promotion experiments were running, strategies that worked particularly well, and particularly good results we’re seeing. We’ll also keep adjusting the voice guide around any feedback you have on the initial set of articles, to dial in what our writers are creating for you. After the first month, we’ll settle into a more regular schedule of publishing articles each week, promoting them, and reporting results and experiments to you each week. Depending on how well different articles are performing, both in terms of conversions and search rankings, we’ll adjust the content plan to focus more on what’s working and less on what isn’t. It can take a few months to start to see results from SEO work, but we’ll begin to get a good sense after the second or third month how its going and be able to adjust our strategy accordingly. If the strategy is going well, we have a number of ways to expand it and help it bring in even more traffic. If the initial strategy isn’t working, there are ways we can adjust course to try a different track. We constantly adjust how we’re creating and promoting your content, and working with you to figure out how to maximize your search traffic. 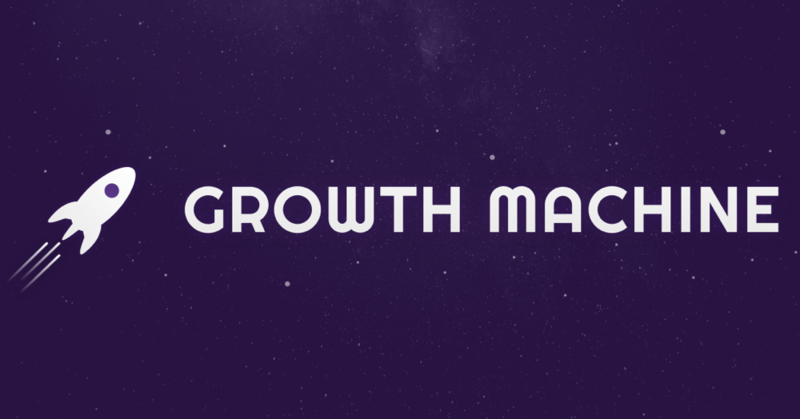 Interested in working with Growth Machine? Contact us to get started.